Healthy London > News, blogs & videos > Blog > How can you tell if you’re about to burn out? April is #StressAwarenessMonth in the UK and Dr Richard Graham, Good Thinking’s Consultant Psychiatrist and Clinical Lead, has been discovering: do people always know when they’re stressed? “At Good Thinking we wanted to dig a little deeper into stress. Do people always know when they’re stressed? The answer was quite surprising. And when we look further into the issue of burn out, it gets really interesting. Mental health problems don’t announce themselves with a fanfare. Often, they creep up on you, slowly changing how you see the world and affecting how well you feel and function. It’s no easier for those around you to spot them, and the most conscientious people can struggle on silently. So, when feeling ‘not right’ many people look online, through search and social media, and the first word they tend to turn to is ‘stress’. Type stress into Google search and you will get well over a billion pages – almost three to five times the number of pages for anxiety or depression. People also search for what they feel, and at Good Thinking we’ve found a common feeling was ‘racing thoughts’ in addition to ‘constant worrying’ and ‘feeling overwhelmed’. So many people don’t actually feel stressed, but notice something different in themselves, and want to understand what it means. But often there is just a focus on work, on how much there is to do, and feeling bad about never getting to a point of feeling on top of things. The most stressed among us can just feel bad about their struggle to work. Mental health problems don’t announce themselves with a fanfare. Often, they creep up on you, slowly changing how you see the world and affecting how well you feel and function. It’s no easier for those around you to spot them, and the most conscientious people can struggle on silently. Unchecked, stress can impact on your physical health and mental health, and in time lead to burn out. This is not a new mental health problem, but it is remarkable that burn out is occurring in surprising situations; professional video gamers and You Tubers seem to be struggling as much as public sector workers. So why would those working in the digital economy be at risk in the same way that our team members might? 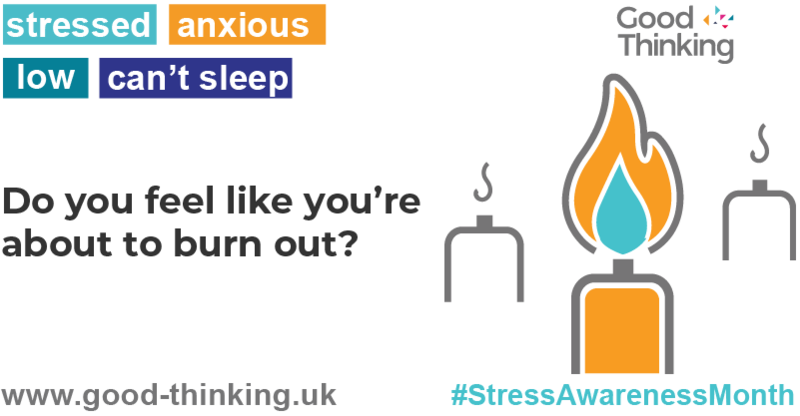 The term ‘burn out’ was coined by the psychologist Herbert Freudenberger in1974; he described it as particularly relevant to caring professionals. Yet three years before in 1971, in the US, it was air traffic controllers who were commonly reporting vocational ‘burn out,’ a form of exhaustion that is noticed by a decline in quantity and quality of work. This was very similar to what doctors were later reporting, yet in a very different area of work. But why? During the 1960s and 1970s, air traffic controllers reported poor training experiences, inadequate equipment, rapidly changing shift patterns, long shifts without breaks, fatigue, monotony due to automation, and challenges arising from human-machine interfaces. Sound familiar? A huge increase in air traffic, with a small rise in the number of controllers, pushed working conditions beyond what controllers considered to be safe. After human errors were linked to fatal mid-air collisions, things started to change. Research showed though that those who ‘burnt out’ started off in a better state than their colleagues who didn’t get so stressed, and on the whole were more conscientious and competent. It seemed that workers who strive hardest to meet professional ideals may increase their risk of burnout, which then contributes to them falling to reach those ideals. Having the best ideals or goals could get in the way, causing unintentional harm to themselves or to those they are intending to help. It is sad that back then there was now way to track how you are feeling, and take steps to care for yourself better, when stress was building, and burn out a few steps away. Those who ‘burnt out’ started off in a better state than their colleagues who didn’t get so stressed, and on the whole were more conscientious and competent. It seemed that workers who strive hardest to meet professional ideals may increase their risk of burnout. In a world now where we are surrounded by machines and intelligent devices, we can often experience a subtle pressure to be the same, and never properly switch off. Some people will never let their phone battery go flat, and they treat themselves the same. And the most regrettable aspect is that they then (because of our biology and psychology, our need to sleep, rest and take breaks, eat and feel the sunshine) just can’t offer the level of commitment to their work as they would like to. Yet if they could look after themselves better, everyone would benefit. This is no judgement on anyone. I applaud you if you are one of those fine hardworking individuals who wants to make a difference and go the extra distance. This is just a plea that you use services like Good Thinking to track yourself and use the advice and tools to look after yourself better – before you begin feeling burnt out. Our self-assessment can be a safe place to start, or you might just want to read about stress some more to help explore how you are feeling. Dr Richard Graham is a Consultant Child & Adolescent Psychiatrist, former Clinical Director of the Adolescent Directorate at the Tavistock Clinic and Clinical Lead for Good Thinking. Over the last decade, his work has centred on the impact of technology on development and health. In 2010 launched the UK’s first Technology Addiction Service for young people at Nightingale Hospital in London. In June 2016, he was appointed the Executive Board of the UK Council for Child Internet Safety (UKCCIS is the British Government’s principal advisory body for online safety and security for children and young people) and Co-Chairs the Digital Resilience Working Group. He also works with the BBC, as Digital Well-being Consultant to the Own It App Project.